The Chassis that makes it possible. Now available for enthusiast builders. Questions about buying a Volta V? Find your answers here. Most wood can warp from repeated changes in moisture, so high grade timber is selected for its stability and flatness. Premium Grade offers much more balanced color and grain character to create a unified surface. After storing the timber for several days to balance moisture content, staves are cut and joined to create strong stock for milling. 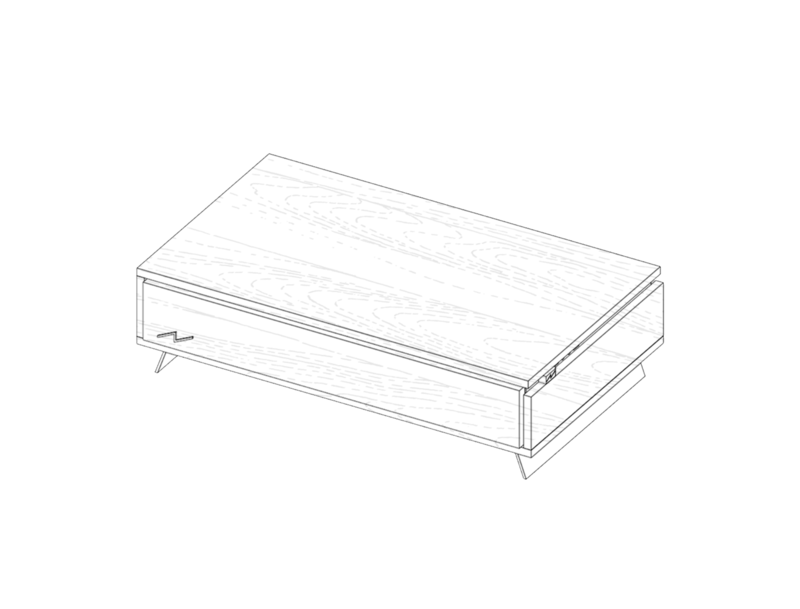 The stock is machined with extra care taken to prevent splintering or discoloration. We’ve designed Volta V to use fewer parts that do more to add rigidity. 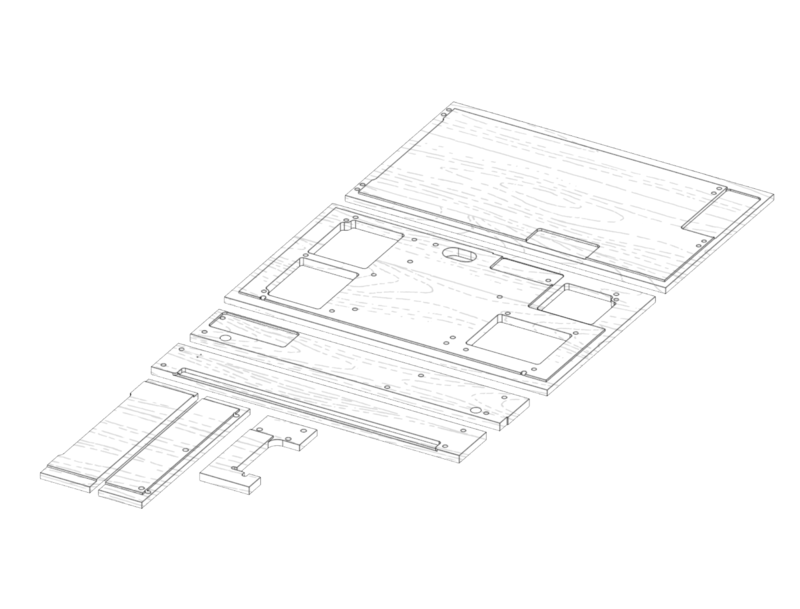 Instead of completely flat panels, pockets are milled in the surface to support parts and to keep the chassis as small as possible. Assembly of the wood frame is done by a skilled finish carpenter who carefully sands each edge for zero tolerance joins between panels. Every corner must be flush and perfectly matched to the other panels. Next, the chassis is finished in a coating that preserves the natural character of the wood and resists heat. An engineer fits and installs aluminum, brass and steel hardware and 3d printed parts and tests fit for PC components. 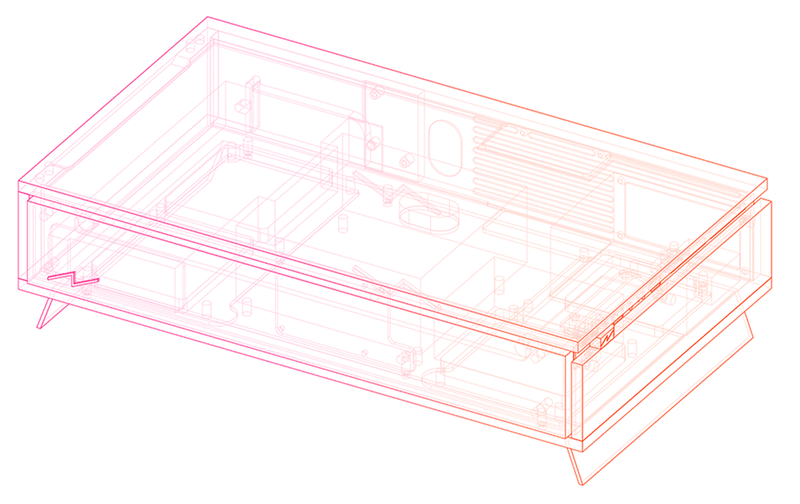 We’ve designed Volta V to offer a lot of utility while staying as small as possible. 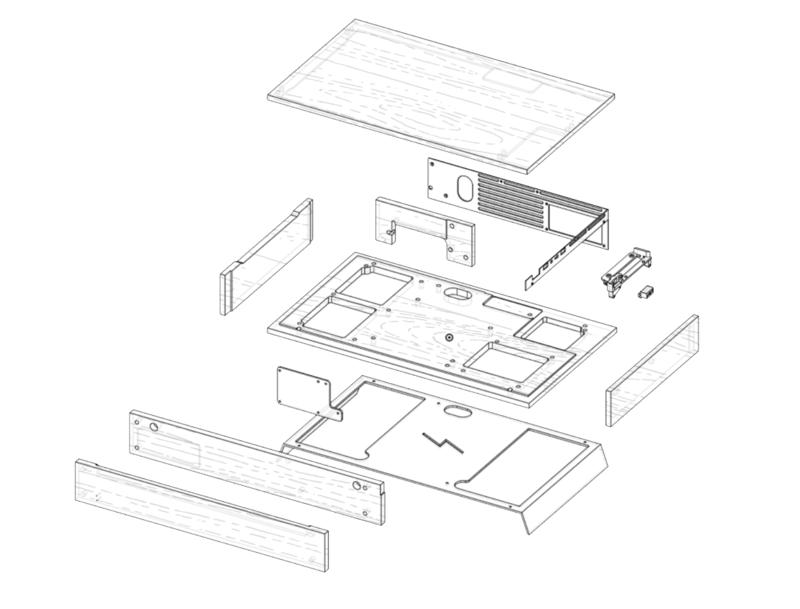 Only one panel needs to be removed for the entire build, and the chassis is always in the final orientation, allowing you to finish the entire project right on your desk. All parts are flat on the same level so there are no uncomfortable angles to install components or strange gaps for wiring. Once complete, no screws are visible from most angles for a clean look. The top does not have vents so you can use it for monitor placement and other items. The motherboard is recessed with ports for cable organization for builders interested in clean, invisible cable management. 92mm AiO liquid CPU cooler (optional in configurator). 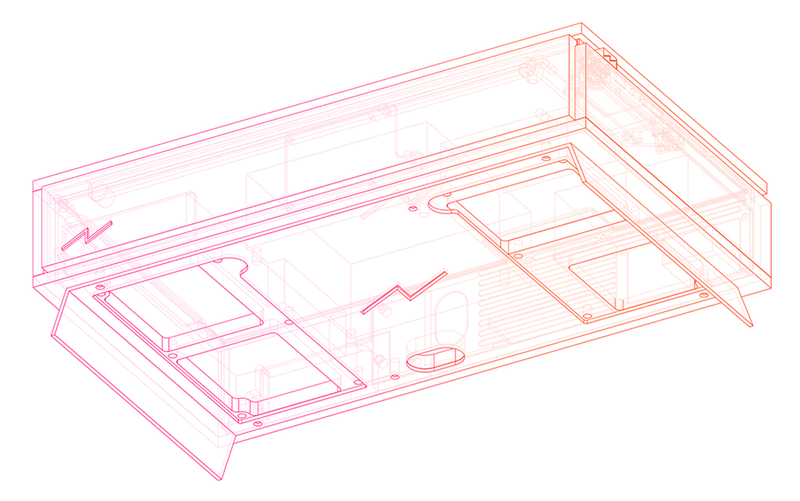 We designed Volta V for the Asetek 545LC and it can be purchased bundled with the case. Other brands of coolers are not guaranteed to fit. SFX format 80+ Gold PSU (optional in configurator). PSU cable extensions for graphics card power (check your card requirements). Behind the front fascia there is a channel that can hold a 400mm LED strip that will bounce out of the front edge of chassis. We recommend warm white LEDS. The chassis is sold without a Volta emblem for the front of the case. You can order your own custom 3d printed steel emblem from Shapeways. Two studs hold the emblem in milled holes in the front, download our template file with the stud placement in OBJ or STL. The chassis can also be made without mounting holes for a cleaner look. Questions about buying a Volta V?